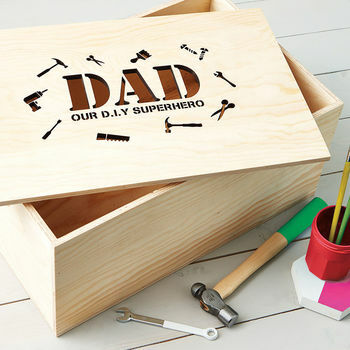 Our personalised Dad's Storage Crate is the perfect, extra sturdy home for all of those important tools! Store them safely in your very own crate. Our storage crates are personalised especially. 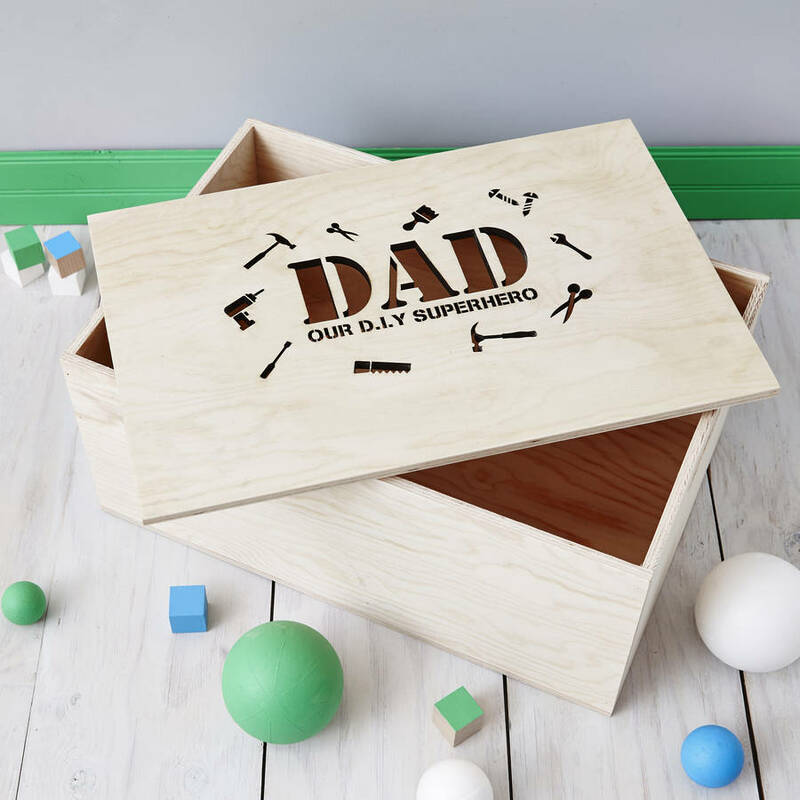 We think that they are just the right size for dad's important objects. 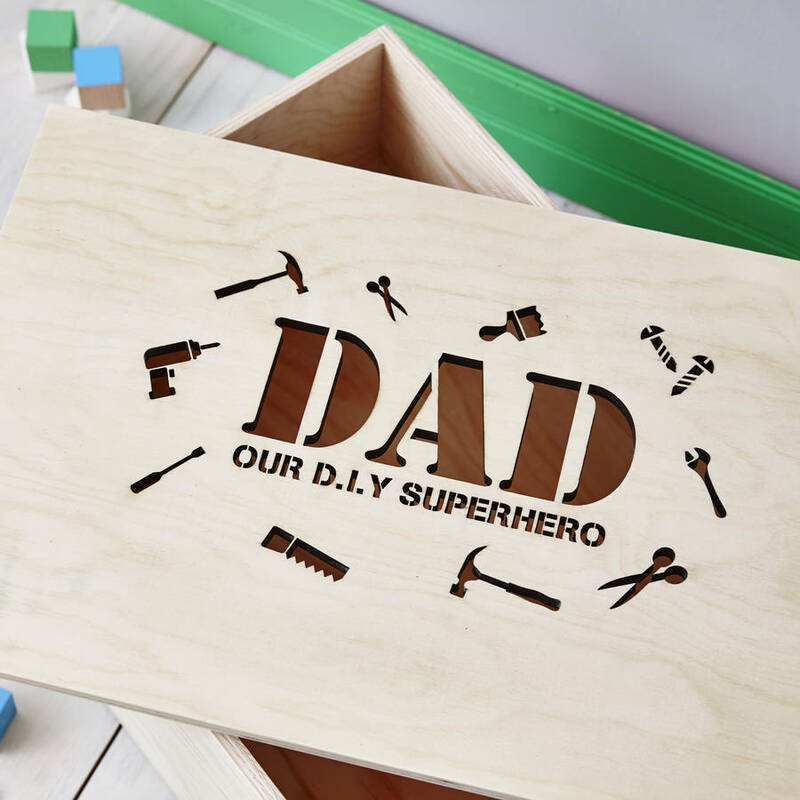 Get him a present which he will use time and time again. To personalise your storage crate simply enter the information into the personalisation boxes. 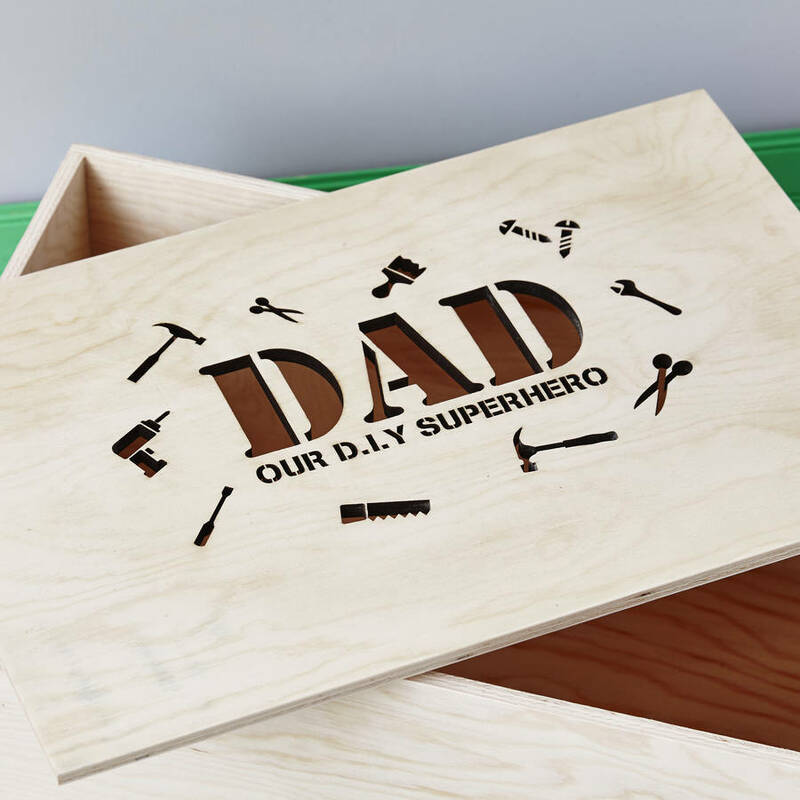 These make a thoughtful gift for all occasions, Birthdays, Christmas, Father's Day, or a perfect treat for that special friend or family member. 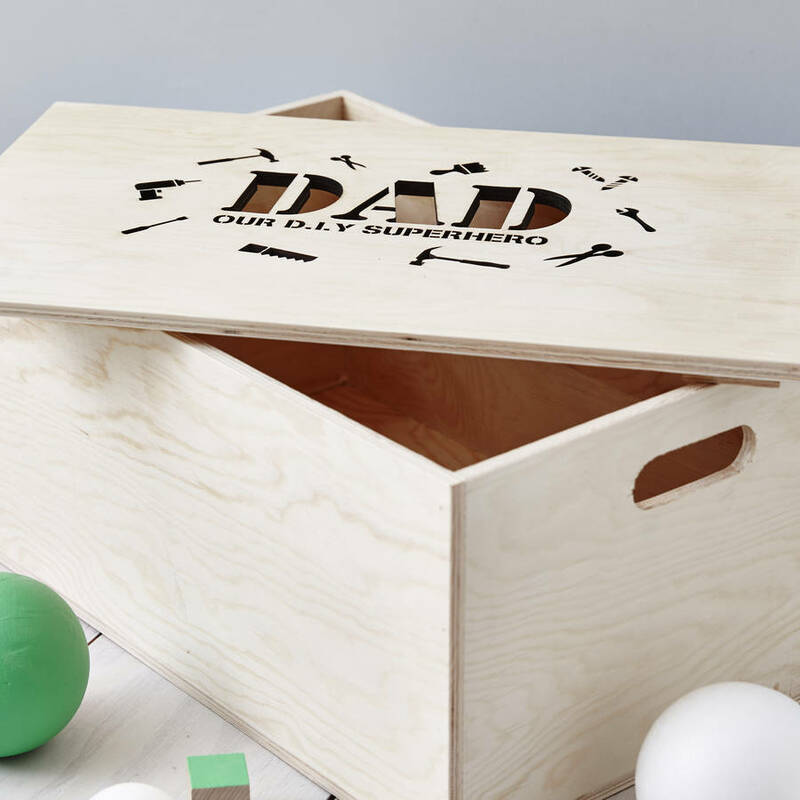 Our Personalised Storage Crates are available in two sizes. Both feature a sturdy drop on lid.